CURRENTLY UNDER CONTRACT, SELLER ACCEPTING BACKUP OFFERS. 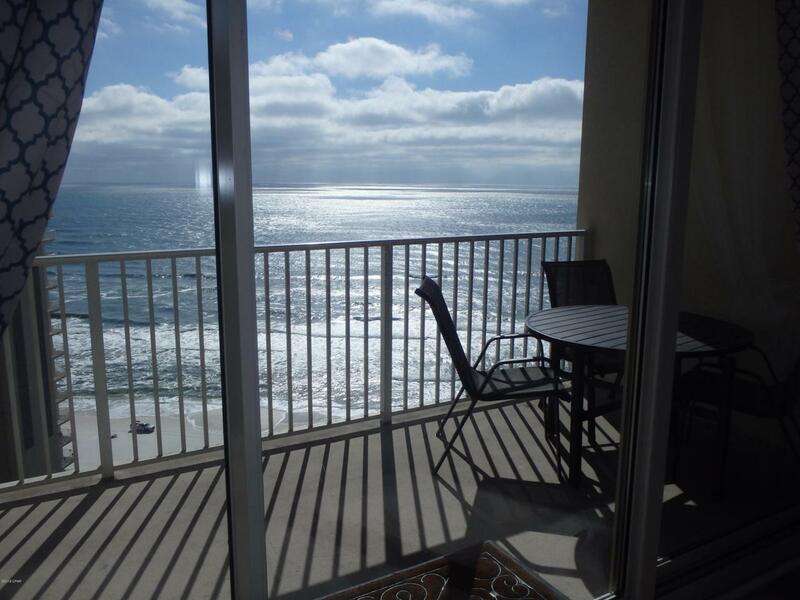 Check out THIS MOVE IN READY-FULLY FURNISHED CONDO located in one of the BEST beachfront Resorts in Panama City Beach. In January 2019, owners added $10,000.00 in upgrades to include; new luxury vinyl tile hardwood look floors, new stainless steel appliances, new living room furniture and fresh paint throughout. 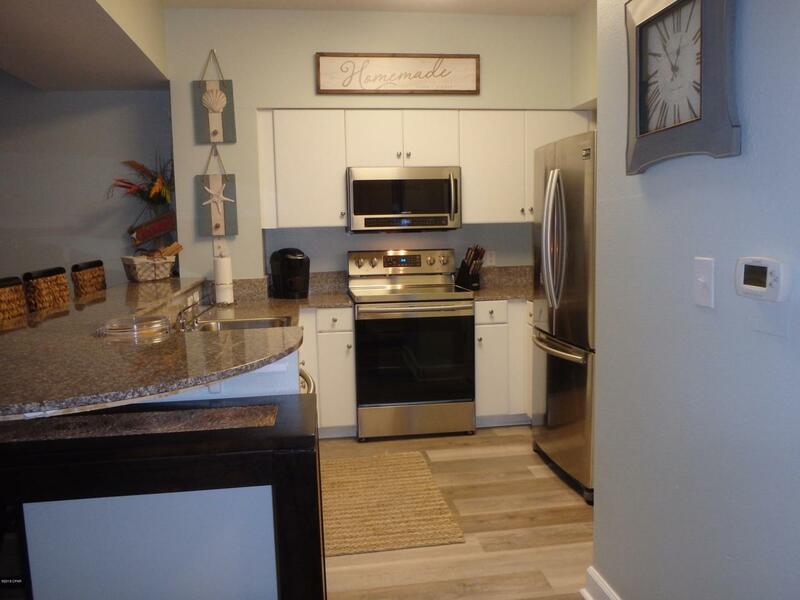 This unit is the most popular C floor plan at Shores of Panama. 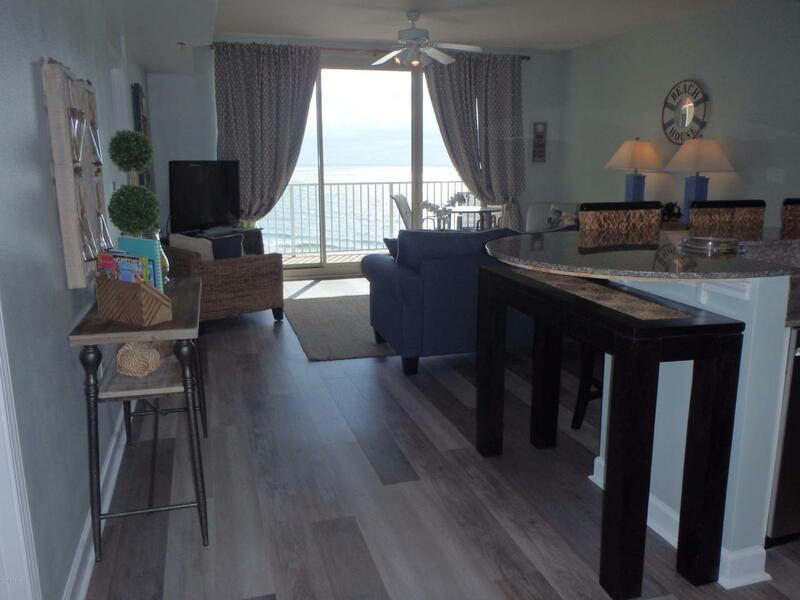 Unit offers spectacular and direct views to the Gulf of Mexico from the living room, master bedroom, kitchen and large spacious balcony. In addition to the master-bathroom, the second bedroom (bunkroom) also has its own full bathroom. This Resort has an amazing 20,000 square foot lazy river type pool, with lush landscape that makes you feel like you're iCondo comes with a designated parking space on the 5th floor of the covered onsite garage, plus 24-hour on site security is provided along with many more family oriented amenities. Resort amenities include: indoor and gulf side pools with hot tub plus two tiki bars; fitness center with sauna, massage therapy and steam rooms, as well as beach activities and rental services. Owners have used this as a profitable vacation rental, and the unit has been well kept and in pristine condition. The unit comfortably sleeps 6 persons. 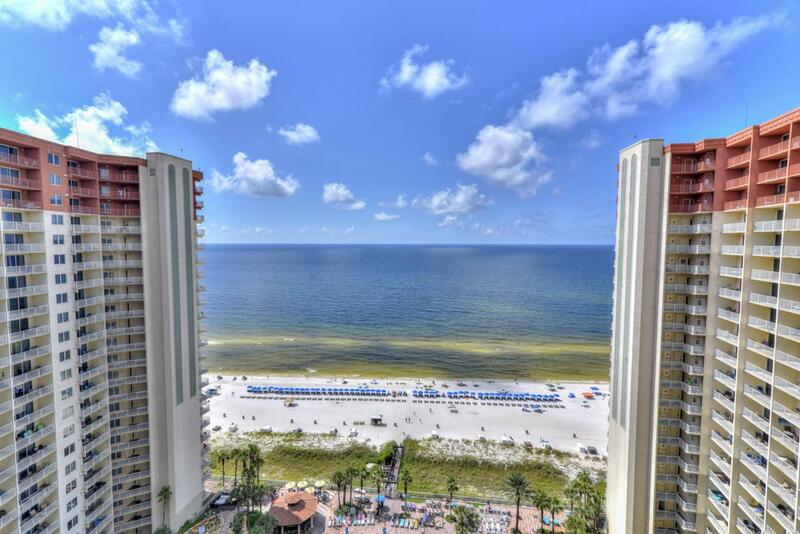 Don't miss out on the opportunity to own a piece of paradise! This unit did not suffer any damage from Hurricane Michael. Listing provided courtesy of World Impact Real Estate. Listing information © 2019 Central Panhandle Association of Realtors MLS.